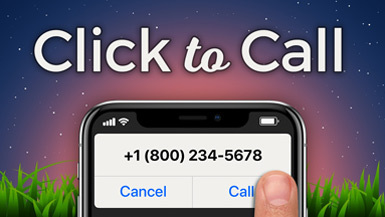 With the Click-to-Call Member add-on, member phone numbers are converted into clickable links. 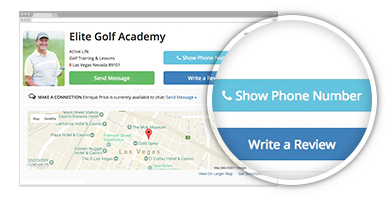 Visitors can click the links to instantly call members from their computers and mobile phones. 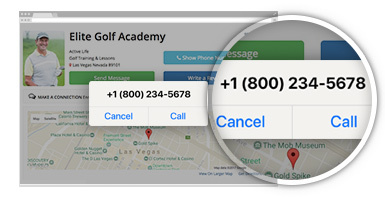 Even better, if you’re also using the Profile Analytics add-on, each click-to-call is tracked so members can see how many visitors have called them directly from your website.